Windows Technical Preview is here today, but it’s a long way from done. We’re going to make it faster, better, more fun at parties...you get the idea. Join the Windows Insider Program to make sure you get all the new features that are on the way. If you’re okay with a moving target and don’t want to miss out on the latest stuff, keep reading. Technical Preview could be just your thing. Want to try out software that’s still in development and like sharing your opinion about it. Don’t mind lots of updates or a UI design that might change significantly over time. Really know your way around a PC and feel comfortable troubleshooting problems, backing up data, formatting a hard drive, installing an operating system from scratch, or restoring your old one if necessary. Know what an ISO file is and how to use it. Aren't installing it on your everyday computer. We're not kidding about the expert thing. So if you think BIOS is a new plant-based fuel, Tech Preview may not be right for you. Technical Preview should work with the same devices and programs that work with Windows 8.1, but you might need to update or reinstall some of them. Drivers for basic functions like storage, networking, input, and display come with Windows. These drivers allow you to complete the Windows installation and connect to the Internet. You might be able to get more drivers from Windows Update. For compatibility info, see the Windows 8.1 Compatibility Center. Your apps and devices should work as expected, though of course there will be exceptions. We’d love to know what you think about how the new Windows works with mouse and keyboard and whether it provides the best of new and familiar functionality for Windows and apps. Technical Preview works with touch, but some things will be rough and unfinished. More touch-friendly improvements are on the way. In the meantime, let us know what it’s like to interact with Windows and apps in the preview. 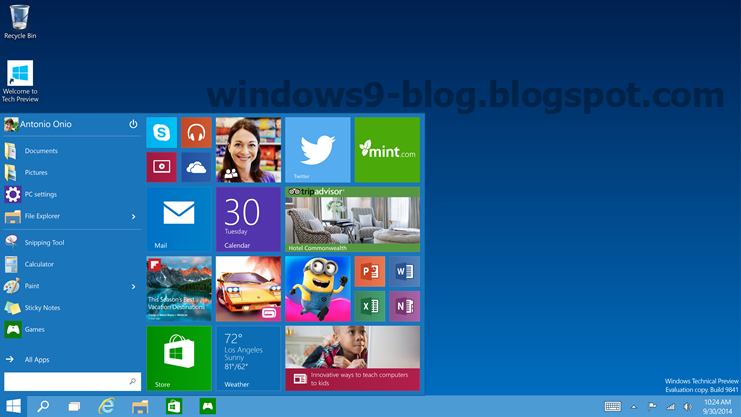 For Windows 8.1 or Windows 8: You might be able to create a USB recovery drive. For more info, see Create a USB recovery drive. 0 Response to "Windows 10"